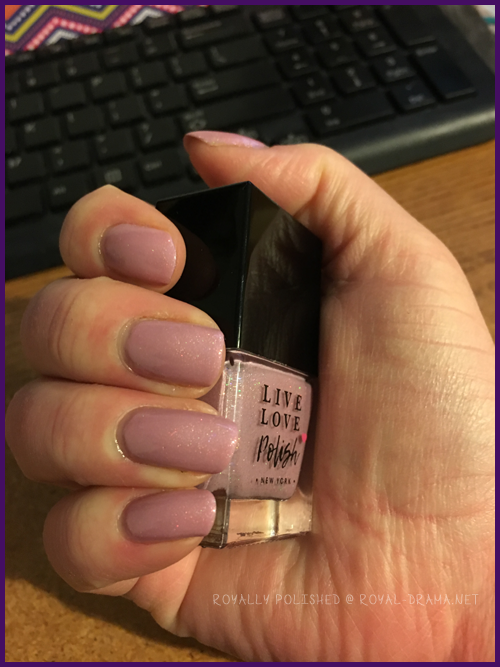 Note: I applied this polish on January 16th and took the photos on the January 16th & January 17th. 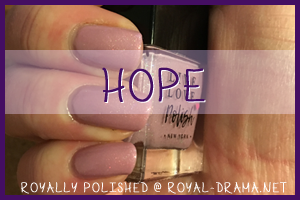 I bought this polish in a trio set for Breast Cancer awareness. The other two polishes in the set are Warrior & Fight Like A Girl. I have reviewed all 3 so be sure to check out the reviews for the other 2! I don't know how but I didn't get many photos of this polish even though I really liked it! 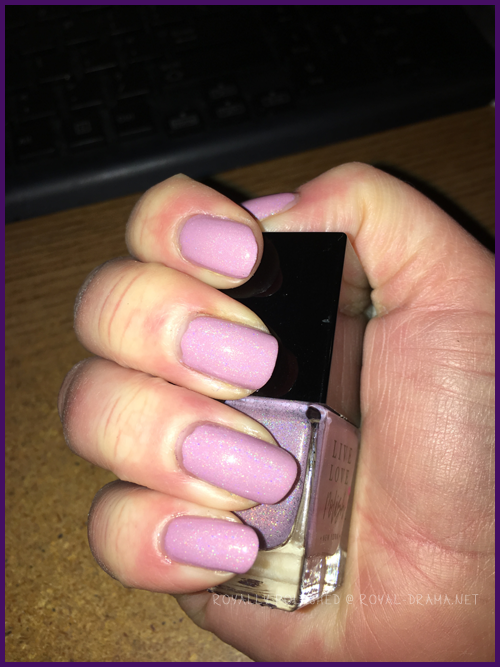 When I was first into polish in middle school, I was super into baby pink with glitter so this polish was nostalgic for me. However, this polish is a upgrade from those polishes that I used to buy at the mall. I did 2 coats which I thought was pretty great for such a pale color. It's kind of a creme baby pink but with scattered holo glitter. It actually almost looked lavender in some lightings. The glitter didn't really photograph and looked mostly silver in some lightings. The holo is fantastic looking in person though it doesn't really stand out if you are in a darker lighting setting like I am most of the time. Overall I am giving this polish a 4 out of 6 stars. It is beautiful and has a nice formula!